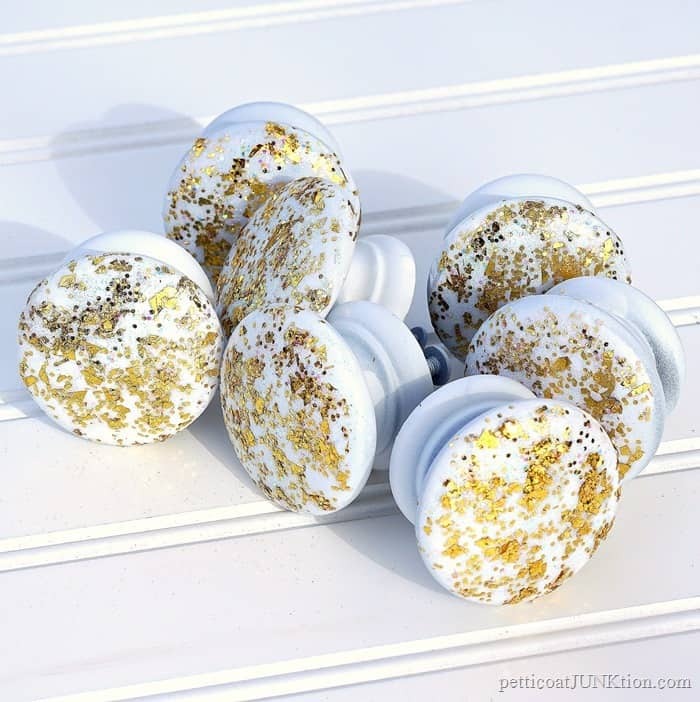 Do you guys remember my glitter project from last week and how I said I needed to make glitter knobs for one of my furniture projects? Well, I couldn’t wait and I had the perfect furniture piece so here we go! The gold glitter really takes the pink dresser/changing table to another level. A good level. The glitter really sparkles and shines but hard to capture in a photo. 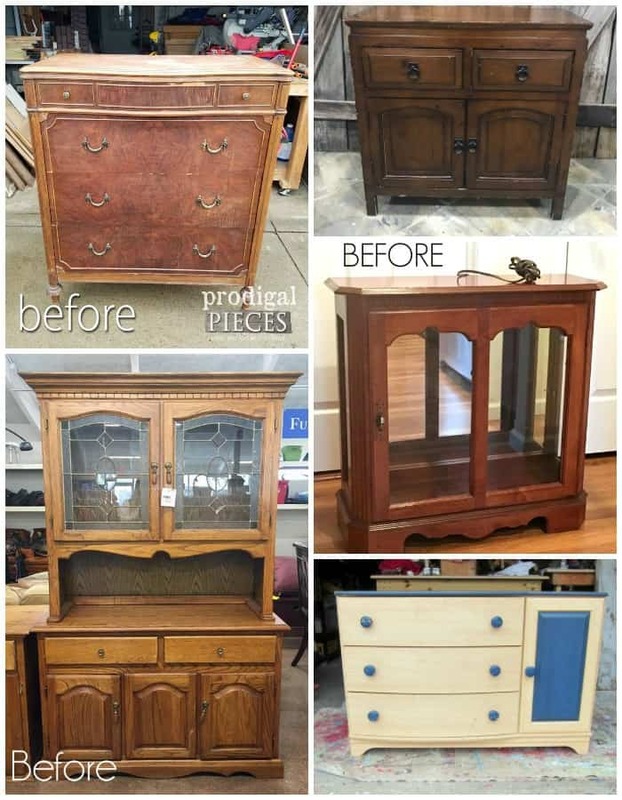 The dresser is from my favorite junk shop and was only $20. 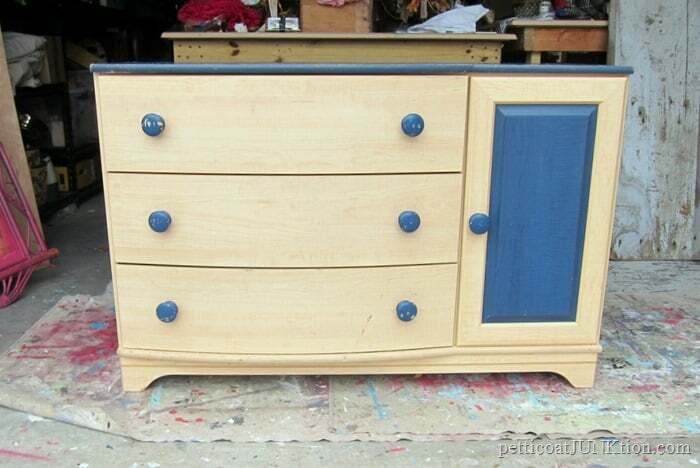 The dresser is made of MDF and I usually pass on these pieces. But this style furniture sells really well and it would be perfect as a changing table. I did a few minor repairs and a big clean up before painting. 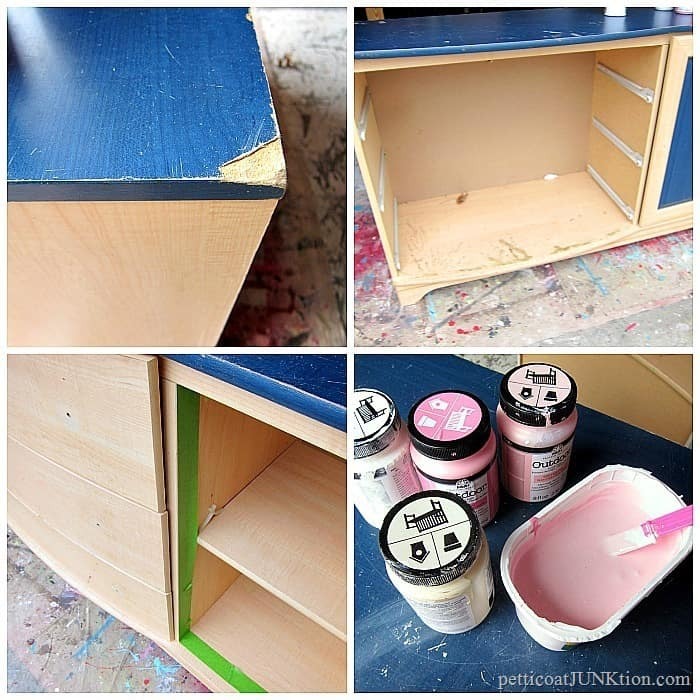 I put putty on the top edge where the veneer (paper of some kind) was chipped off and cleaned the inside of the dresser. To keep from getting paint on the inside of the cabinet I taped the edges with painters tape. The paint color is my own special mix. 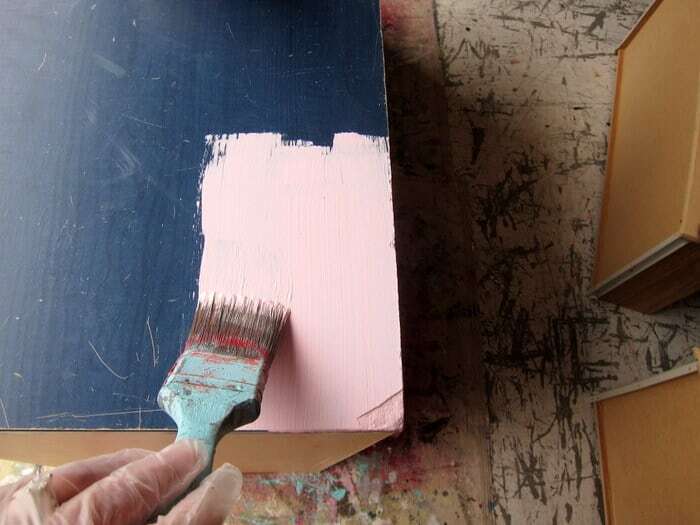 I combined several colors of FolkArt Outdoor Paint in pinks and whites to get the perfect color. You can see how well the paint covered on the first coat. I applied two coats just to be safe. I didn’t decide to putty that edge where the veneer was missing until the first coat of paint. I sure wasn’t digging how it looked so I pulled out the putty and covered that edge before the second coat of paint. The big round wood knobs were a plus. 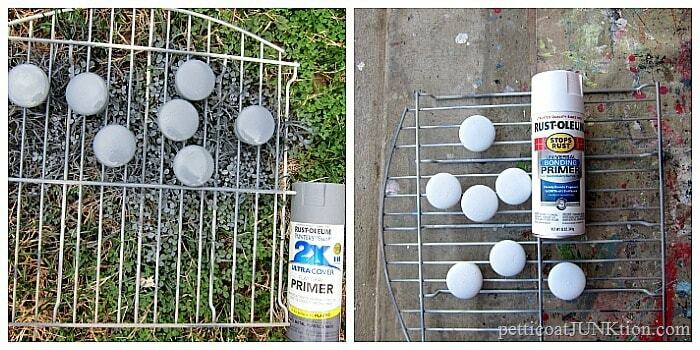 All I needed to do was spray paint and glitter them up. I applied a coat of Rustoleum Gray Primer and not realizing I was out of white spray paint I then used Rustoleum Primer in White for the top coat. Whatever works right? Once the paint dried I applied two coats of FolkArt Glitterific paint. The paint is really thick and it should be dabbed on instead of brushed on. I preferred the knobs not be completely covered with glitter. Not the look I was going for at all. Get a look at my glitter pineapple project for the full coverage effect. The knobs really sparkle when the light hits them just right. I laid them out in the sun for this photo. They look just great on the pink dresser too. Really classes up the piece. I can see the dresser in a nursery with all kinds of gold tone accessories. That would be one happy baby girl. I bought the bronze lamp base and the pink shade at the thrift store on separate shopping trips. Looks like they were made for each other. the brass lamp is heavy, not the new stuff. One last look at the pretty knobs. 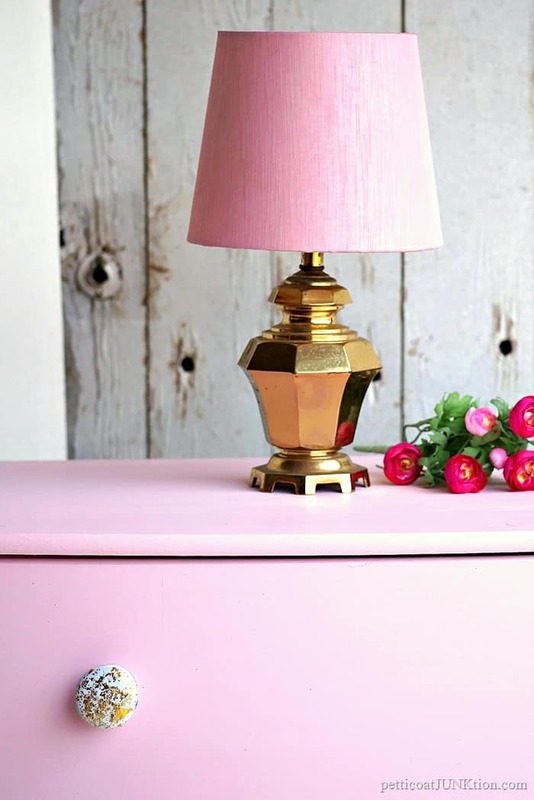 Leave a comment letting me know what you think of the pink dresser and the gold glitter knobs then head out on the Furniture Fixer Upper Tour. Just click those pink links below the “before makeover” photo to take the tour. 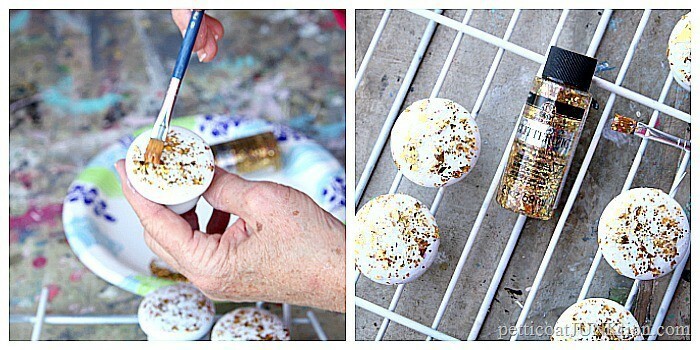 Oh, I love this idea, Kathy, really glams up simple round knobs! 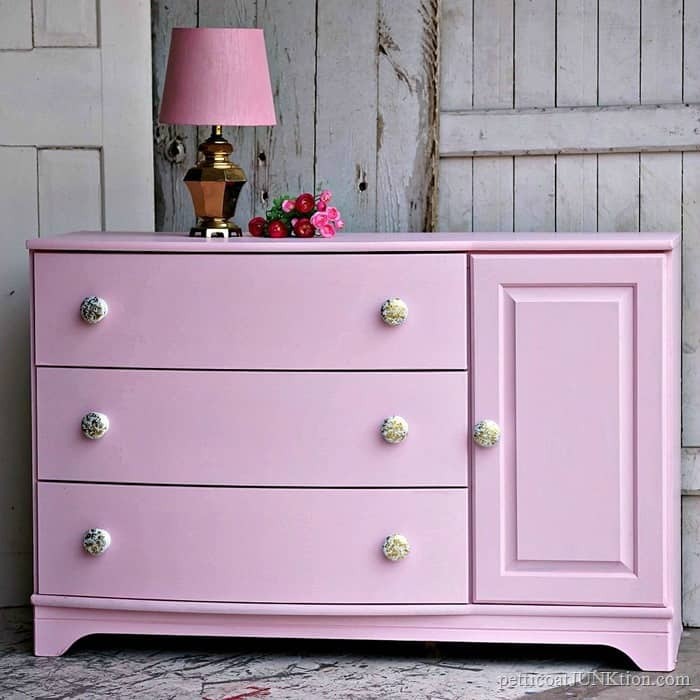 Pinned What a perfect piece of furniture to use as a change table – love it in pink. 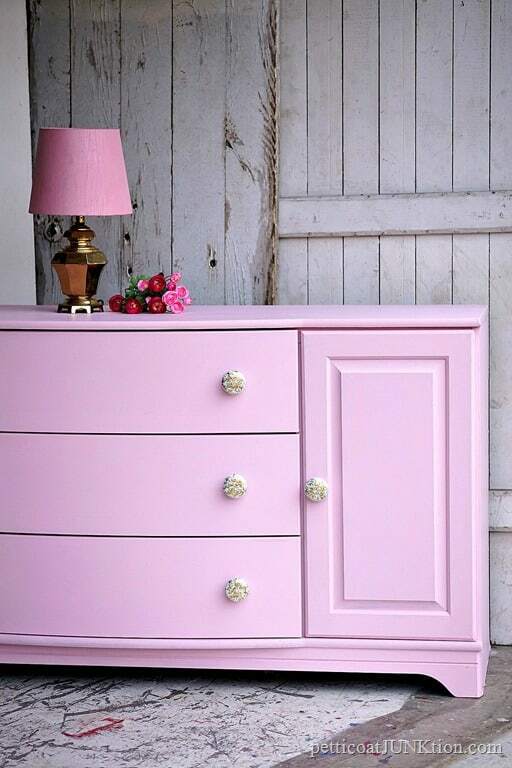 The dresser is so cheerful in it’s new pink paint. I’d like to see the knobs in real life because they don’t appeal to me that much in the photos. I think I would prefer shiny white knobs. Anyway, it’s going to make a darling little nursery addition.Naomi S.
I do like those knobs – got a lot of those that I took off other pieces, would be a good way to repurpose. I love this too. I’ve never seen glitter knobs before but this is a method I will definitely try. I also appreciate the fact that you started out with a piece of cheap furniture and made it look glam. Thanks. love this! 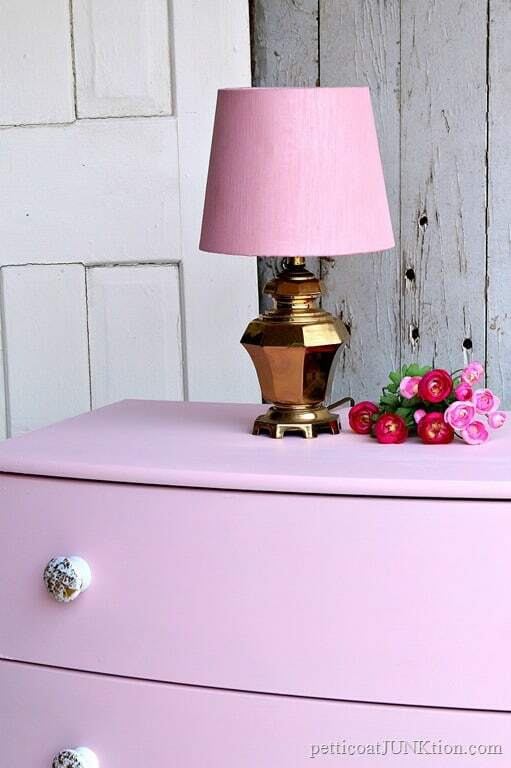 pink and gold are always a pretty combo! 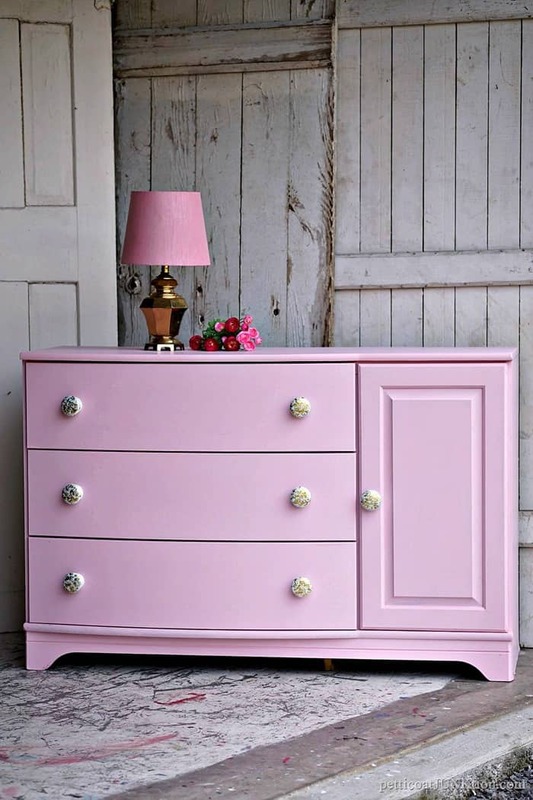 Lovely dresser and the glitter knobs are perfect! what a sweet piece! 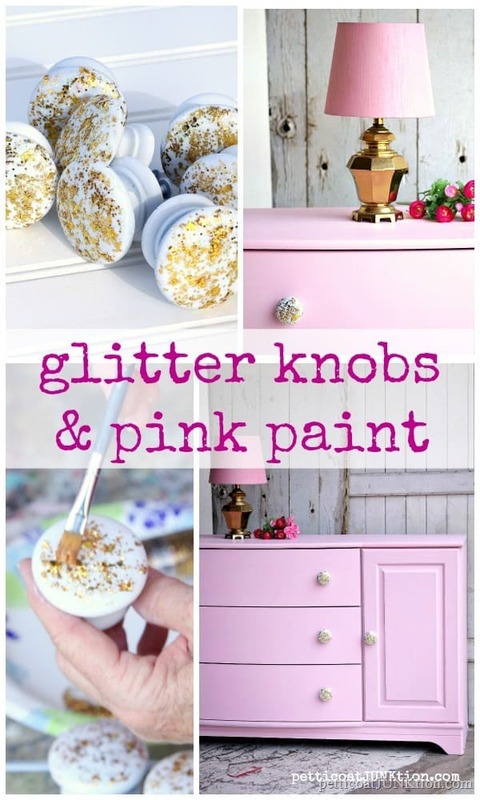 love the glitter on the knobs! What did you cover the glitter with or did you cover it with anything? I adore the pink you mixed. The glitter on the knobs is perfect and glam. Beautiful job!! Oh my sweetness! I love the pink and the glitter is fabulous. Bravo, Kathy!